The first virtue of painting is to be a feast for the eyes. 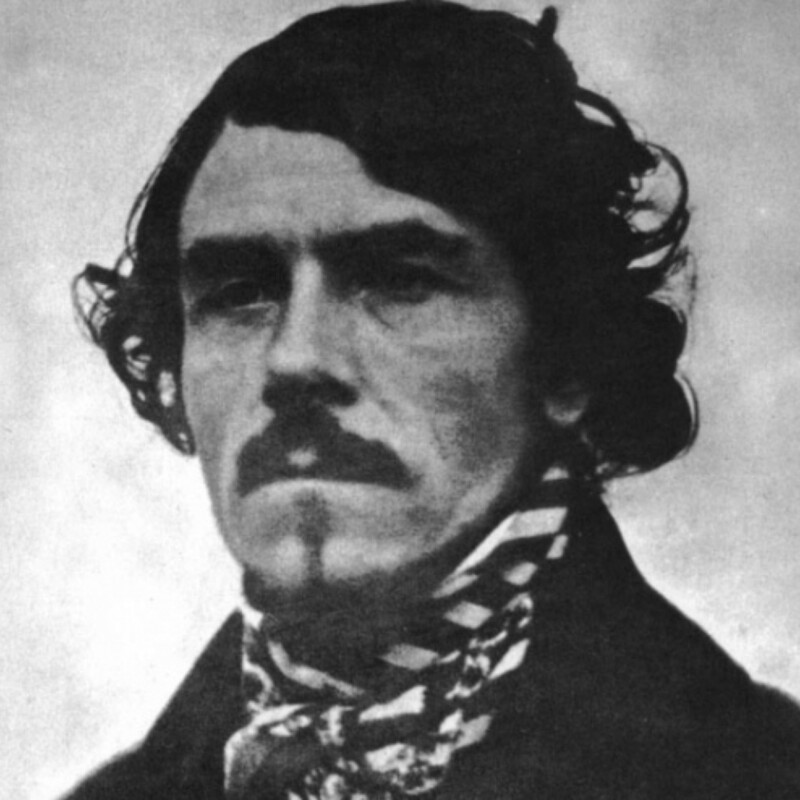 Few artists have had the same impact and lasting influence as Eugène Delacroix (1798­–1863). He was the most famous and controversial French painter of the first half of the 19th century and one of the first modern masters. Influenced by the English painter, Constable, Delacroix brought a new brilliance of color and boldness of brushwork to his paintings. Each new work he exhibited was scrutinized by enthralled contemporaries, including Courbet and the poet and critic Charles Baudelaire. Following Delacroix’s death in 1863, generations of artists continually turned to his work to find new directions in their own. His radical use of color and his technique of using large flakes of paint to heighten his forms was later developed further by the Impressionists. Although idolized as a pioneer by artists such as Manet, Cézanne, Renoir, Van Gogh, and Matisse – unlike theirs, his name is not a household one today.